Alain Bellino is an artist from France, born in Nice in 1955. 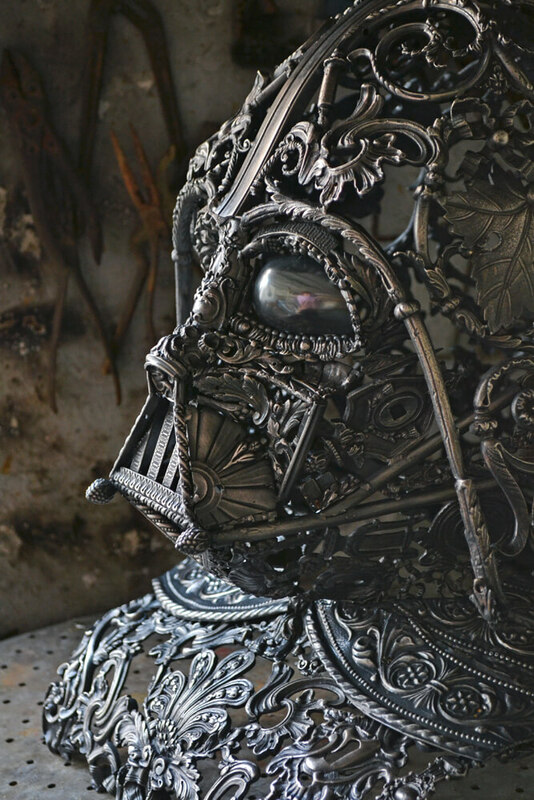 He uses a very interesting material as a medium and has a very interesting field of inspiration. 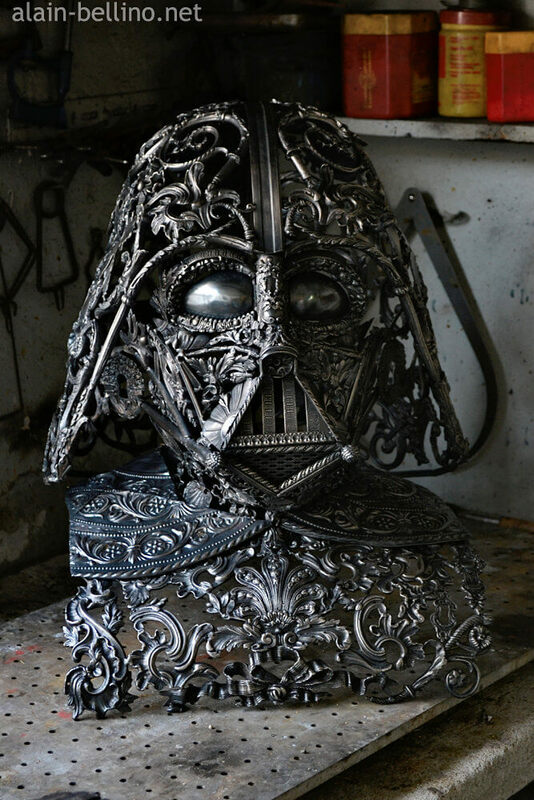 Among many works which were exhibited all over France and in the USA, we found the most impressive in this replica of the Darth Vader mask done in the specific manner of this artist. 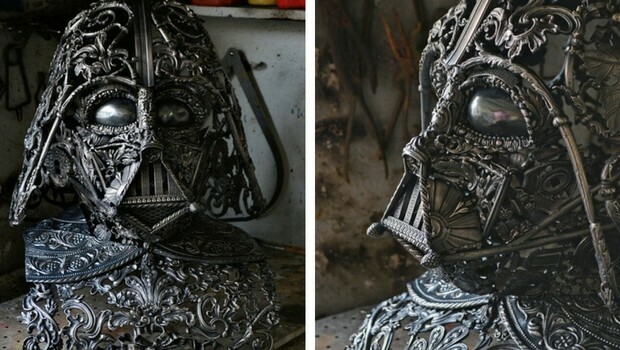 He uses noble materials such as gold, silver, and bronze and extremely precise welding for his sculptures inspired by the Renaissance period. 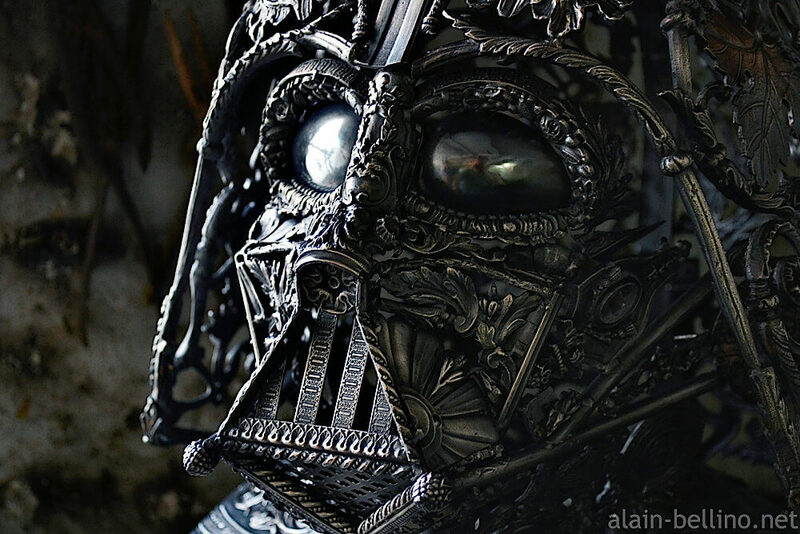 In the gallery below, check out some photos of his Darth Vader sculpture and learn what the author says about himself and his artistic approach, inspiration, themes… If you like what you see find more artworks by Alain Bellino at his website. 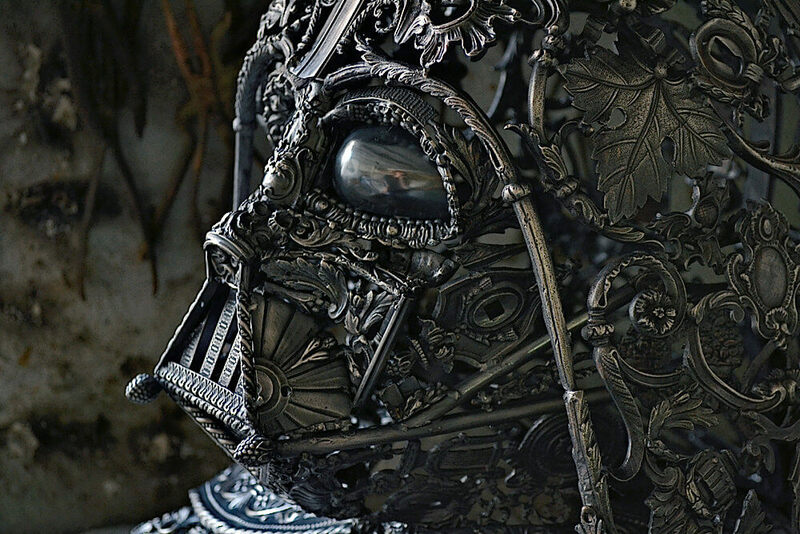 Darth Vader Silver Side. 45 X 36 X 43 Cm. Antique Bronze Ornaments Assemblage. Silvered And Patinated.